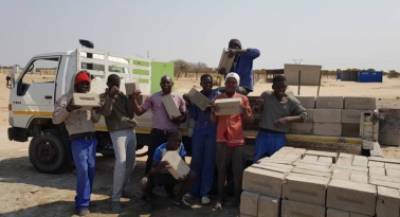 As part of government’s Growth at Home Strategy, Ohorongo Cement embarked on a community upliftment initiative to train people how to make quality bricks. The strategy reinforces the importance of accelerating economic growth, reducing income inequality and increasing employment. 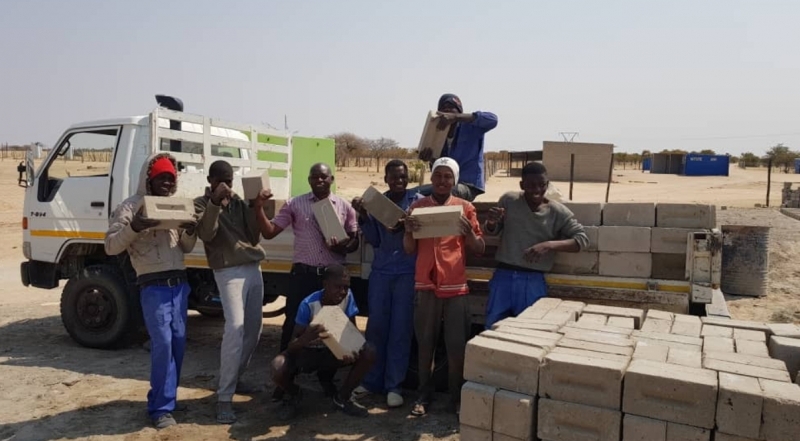 The training and skill transfer was conducted in all 14 regions under the Ohorongo Buildit Brickmaking Academy, which is a smart partnership between Ohorongo Cement and one of its customers, the Buildit Group. Speaking to Nampa on Friday, Ohorongo Cement Marketng Manager Carina Sowden explained that the concept was born after the plant realised that not all brickmakers are skilled in the trade. The main purpose of the initiative is to uplift communities but also to transfer skills and knowledge. "It is a dream to have a brickmaker in every village so that people not only make bricks properly, but transfer the skills and create jobs, and in that process we all assist to build the Namibian house," she said. The training commenced in March 2017 and ended July 2018 and 292 people teceived training. Kuutondokwa noted that because of the training, she managed to employ three more people in addition to the three she already had. “I transferred my skills to all of them, just as I was trained at Buildit,” she said. Another beneficiary is Michael Haitembu from Outapi who owns Hanganeni Bricks CC. Haitembu said after the training he now knows how to make two different types of bricks: super bricks and standard bricks. “Before the training, we could only make 1 500 bricks per day, but after the training now we make 2 500 bricks,” he said. Haitembu added three more members to his seven-man workforce. The Otshiku Tshiithilonde Community Brick Making Project also benefited from the training. Project information member, Jonna Litengula said the training made a big difference to his life and his community. “Before the training we did not have the skills to make bricks, but now community members have skills to empower themselves,” he said. Each trainee received a guidebook and brickmaking safety gear.